Numerical celebrations are planned throughout the Bay Area for the mathematical Pi Day on Thursday. 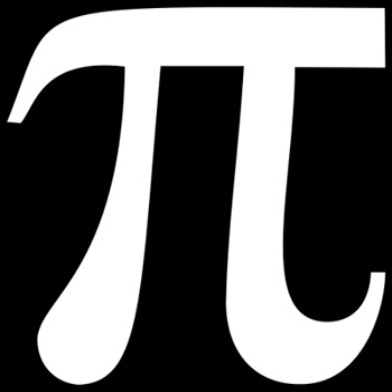 Pi Day is celebrated on the 14th day of the third month, which aligns with the first three digits of pi, 3.14, which is the ratio of a circle’s circumference to its diameter. Pi is an unending number, which has inspired several challenges including events at San Francisco’s Mission and Washington high schools. Students at a math class at Mission High School, located at 3750 18th St., will have a contest to see who can recite the most digits of pi, while another class at Washington High, located at 600 32nd Ave., will also have a Pi recitation contest–all while eating plenty of pie, San Francisco school officials said. Other student events include composing “piems” which are poems that use words that have the same number of letters as the corresponding digit of pi and calculating the volume of baked pies before eating them. A tradition at Washington High School is to decorate the staff lounge with pi decorations. Pi Day also happens to be principal Ericka Lovrin’s birthday, school officials said. Washington High School assistant principal Paul Fan said all grade-level math teachers bring in different types of pie, and that the math department gets the most involved in the day’s events. San Francisco’s Exploratorium museum is celebrating 25 years of Pi Day. The museum is moving to Pier 15 in April, and the new location is where a brass plate from the former museum at the Palace of Fine Arts will be ceremoniously placed as a “Pi shrine,” according to museum officials. Starting at 1 p.m., other Pi Day events will be held at Pier 15 outside the doors to the not-yet opened museum, such as pie eating and other Pi rituals and celebrations. The California Academy of Sciences will hold “Pi NightLife” as part of a weekly after-hours event at the science museum in Golden Gate Park from 6 p.m. to 10 p.m. The 21 years old and up event will include math activities with the Berkeley-based Mathematical Sciences Research Institute and pie making demonstrations, along with samples to munch on. At Mission Pie in San Francisco’s Mission District at 2901 Mission St., slices of the bakery’s pie will be going for $3.14. The store tweeted this morning, “Come by, get geeky with us.” The eatery will be open from 7 a.m. to 10 p.m. on Pi Day. Also in the Mission District, Pi Bar, which lists its opening hour at 3:14 p.m. at its 1432 Valencia St. location, plans to have specials for the eponymous day. At Patxi’s Pizza, with locations in San Francisco, Campbell, Palo Alto, and Lafayette, a lunch special on Thursday includes $3.14 slices.